Dental assistants are important members of dental practices because they are responsible for a variety of duties that help both dentists and administrative staff. Responsibilities will differ a bit based on state guidelines as well as the size of the practice. Administrative tasks – When assistants are not helping dentists treat patients, they may confirm and schedule appointments, handle billing, and order dental supplies. Clinical duties – These vary based on a patient’s needs and can include taking and developing x-rays, handing dental tools to the dentist during exams, and taking impressions of a patient’s teeth for casts. If you wish to start working as soon as you graduate high school, you may be able to depending on the state in which you live. Some states allow assistants to work without completing a dental assistant program as long as they have a high school diploma. You would receive on the job training from both the dentist and the other dental assistant(s). Participation in an externship is voluntary, however, it is a great way to gain experience and it looks good on a resume. During this time, students are able to practice their skills in the areas of chairside assisting, dental pharmacology, dental pathology, dental radiology, and oral anatomy. 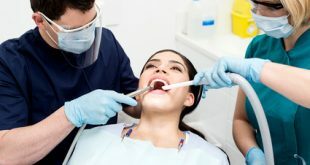 Have a high school diploma along with two years full-time or four years part-time work experience as a dental assistant. State regulations vary, so you may not need to take the examination. However, it looks good when you apply for a job and may give you more opportunities. Dental assistants can work in general dentistry or they can choose to specialize in one of the other areas of oral care. They include endodontics, dentofacial orthodontics, maxillofacial surgery, pediatric dentistry, periodontics, and prosthodontics. Dental assisting is one of the fastest growing occupations in the United States, and the U.S. Bureau of Labor Statistics says that a 25% job growth is expected to span a number of years, ending in 2022. There are several reasons for this growth. One of them being insurance companies have expanded coverage in the last few years, increasing the number of patients in dental offices. Another reason is there is more public awareness about good oral health leading to good general health. Salary ranges from $24,220 to $48,350, and depends on geographical location, education, and employer. If you would like to learn more about becoming a dental assistant, contact us. Next What is the Average Dental Hygienist Salary?